A business marketing and brand management expert shares her personal business outsourcing tips and ideas — including how to outsource specific work tasks for your company, how a virtual assistant can improve your bottom line, a list of outsourcing companies that provide outsourcing services, and some outsourcing examples that many companies could benefit from. We know how challenging an online job search can be. To increase your chances of getting the job you want, we recommend that you don’t send the same resume to every job you apply for AND try to find the hiring manager’s name so you can contact them before sending your resume. That way, you’ll stand out from the other applicants! 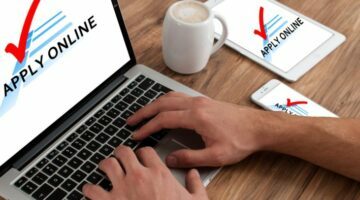 Here are our best online job search tips to help you find a job online AND the 7 best online job sites to start with. Every year in the mail you receive a Social Security Benefits Statement. It’s an itemized statement that breaks down how much money you’ve earned in your lifetime, and how much you can expect to receive in Social Security benefits (payments) upon your retirement. Don’t throw those reports in the trash. Here’s what you should be doing with your Social Security Statement Sample instead. Your actor headshots are your “business card” whenever you’re auditioning for parts. (Often, they’re the ONLY link between you and the Casting Director!) A working actor shares his professional headshot tips for actors, advice on where to get professional headshots taken near you, and secrets for taking the best headshot photo. Plus, he’s got some tricks of the trade for you to follow when creating your professional acting resume. Virtually everyone is capable of finding a way to make money online these days! Technology has made it super easy for tech-savvy job seekers to earn money online. You don’t necessarily have to be a tech geek to enjoy these fun online jobs, but you do need to watch out for online job scams. As someone who has worked from home for the past several years, here are my best tips for finding legitimate online jobs. 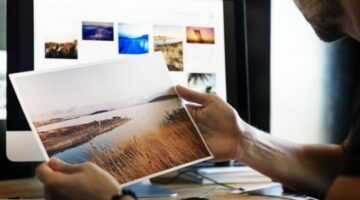 As an artist, you can use the online storefronts offered by popular Print On Demand sites to sell your artwork or photographs online. They’ve got the traffic. You’ve got the artwork. Together you sell gifts, t-shirts, greeting cards, or unique pieces of art. It’s a win-win. Following are our best tips for starting your own Print On Demand business. 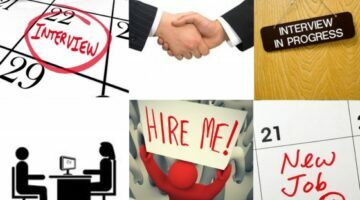 You can just about guarantee a job interview if you stand out from the other applicants in 2 simple ways: 1) Sell yourself in the resume and 2) Follow up after submitting your resume. Here’s how to do both of those things, and how to get a job interview… guaranteed! Did you know there are actual days that are better than others if you’re thinking of calling in sick to work? (IF you want your boss to believe you, that is.) Here’s the best days & times to request sick days at work + The best sick day excuses that bosses are most likely to believe.